Split canvases of the iconic Manhattan skyline. 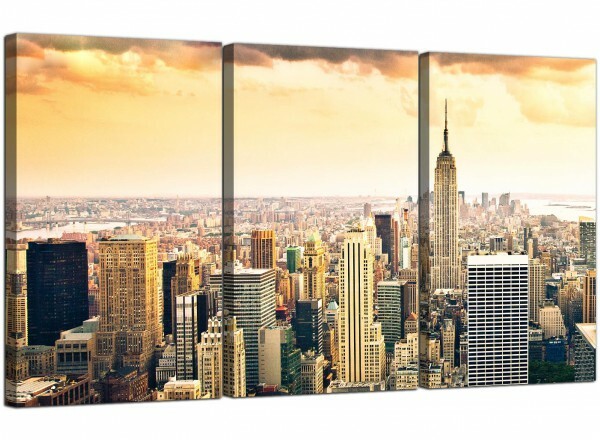 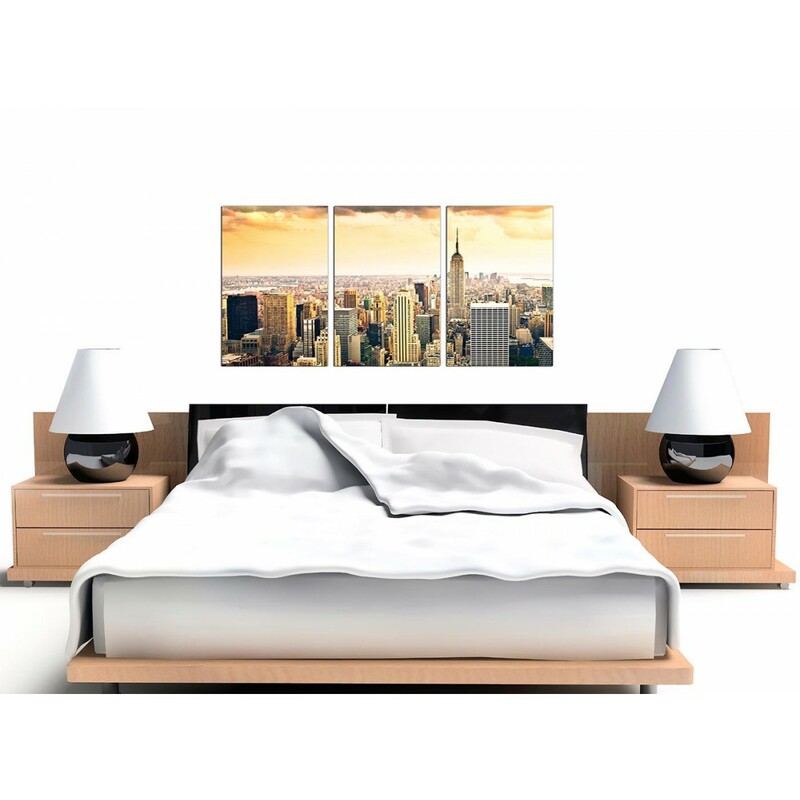 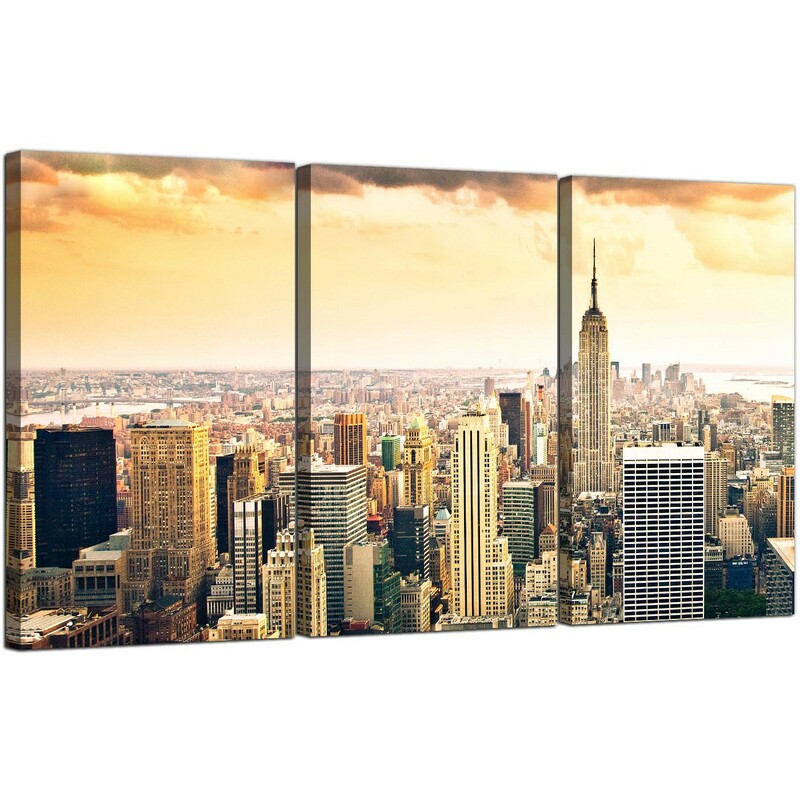 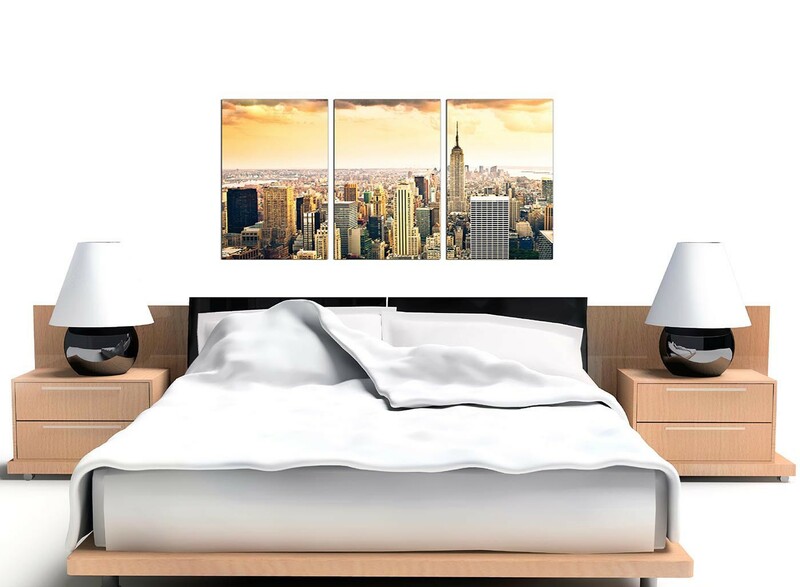 Bring the bustling atmosphere of downtown New York City into your office with one of our affordable canvas pictures. The tallest skyscraper to the right of our canvas is the Empire State Building. 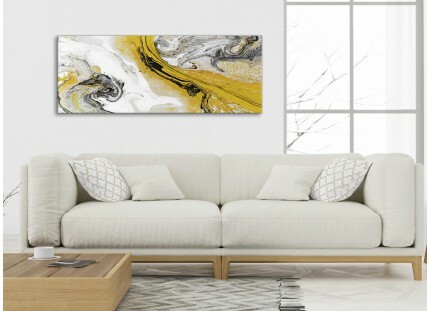 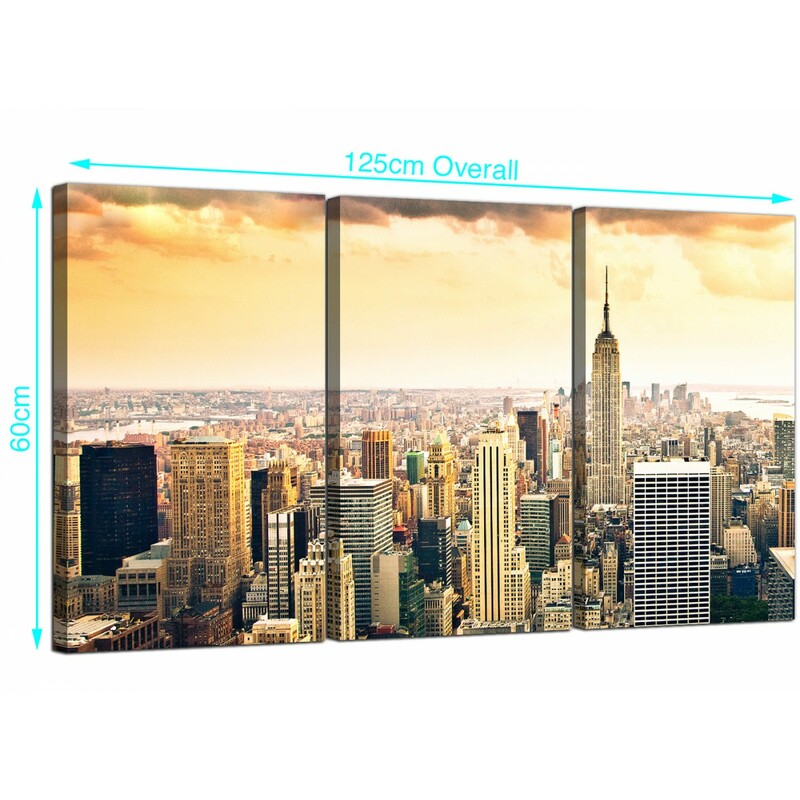 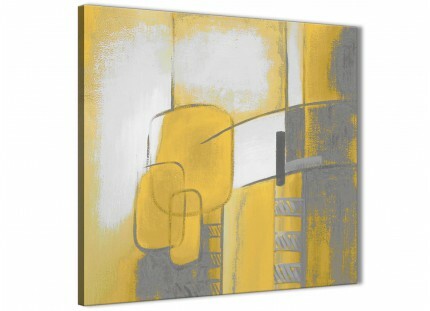 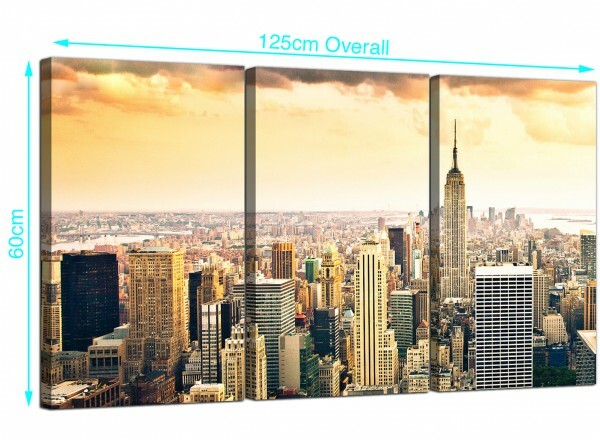 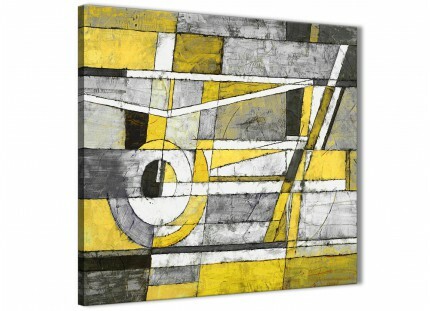 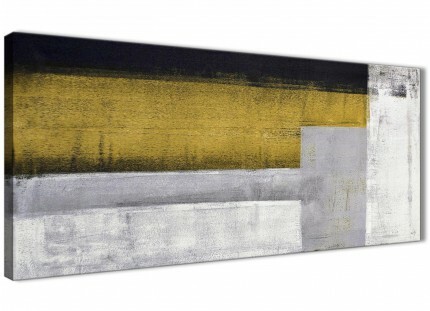 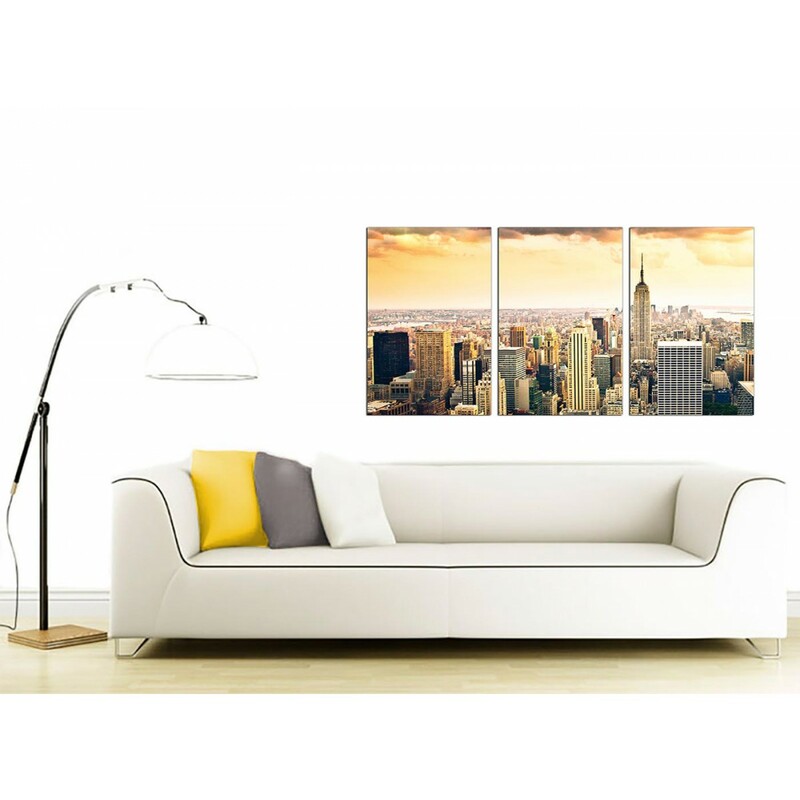 A sizeable yellow trendy set of 3 panel canvas pictures. Britain's most reliable canvas art studio. 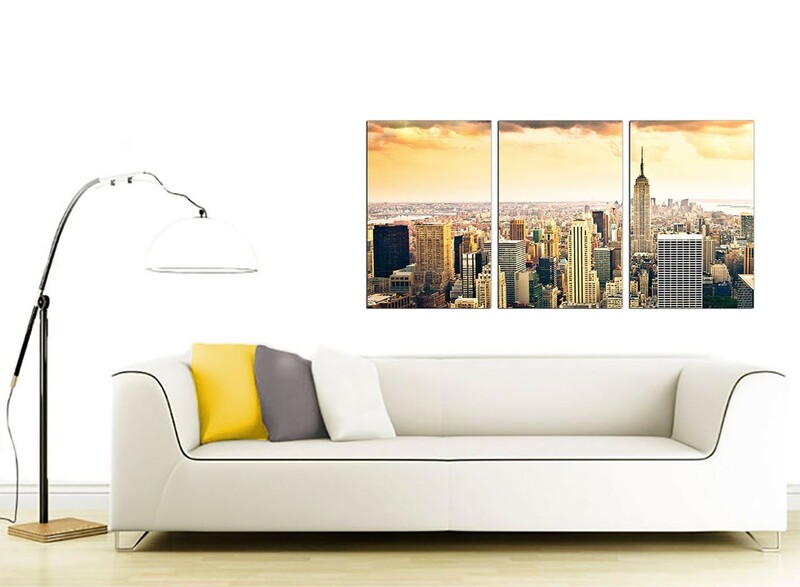 Our images are top quality and printed with fade proof inks. Good length for over the sofa. 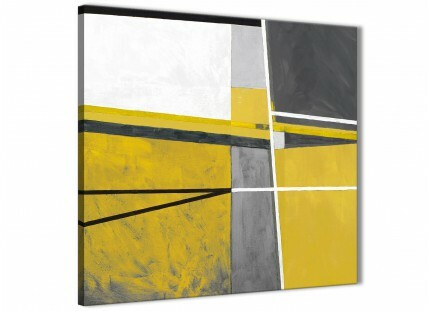 Dimensions: 49.2" x 23.6" including spaces. 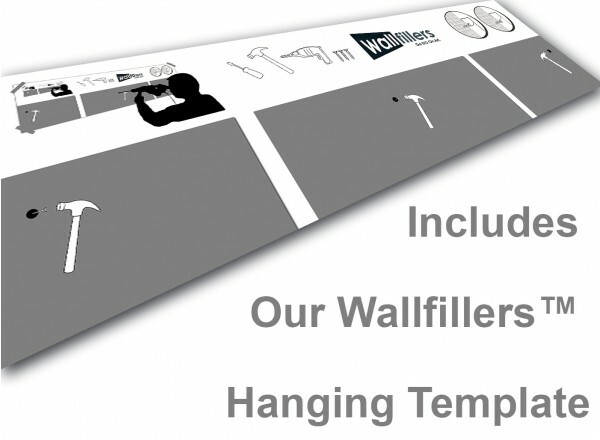 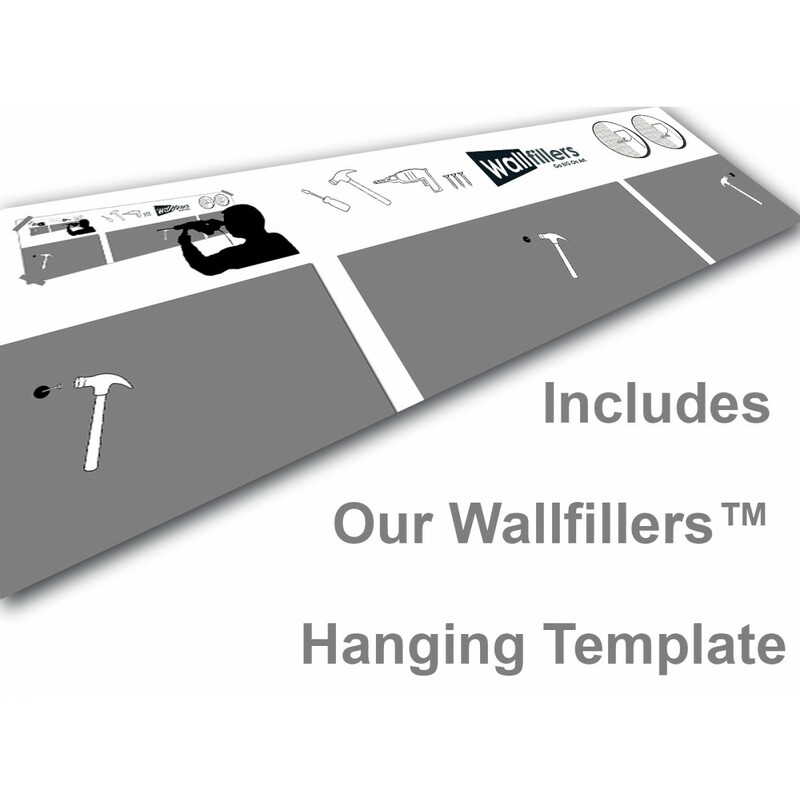 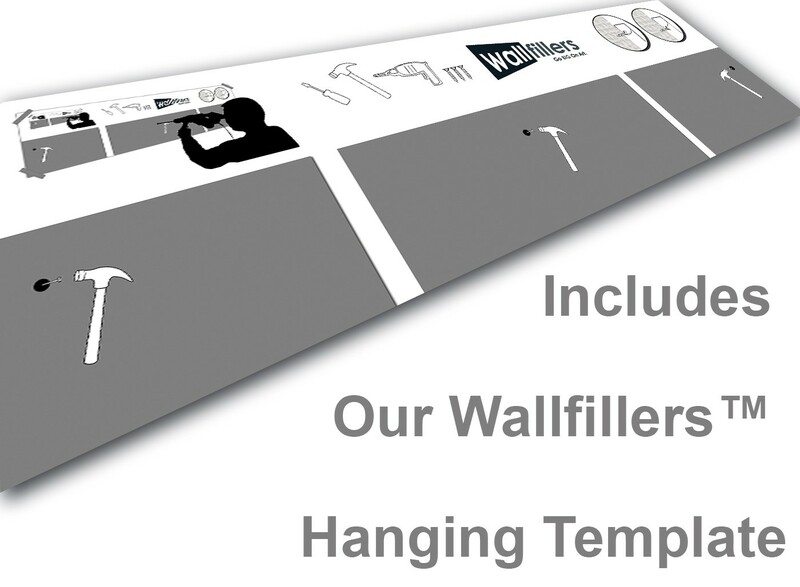 Wallfillers® advise a gap of 2.5cm between each canvas.